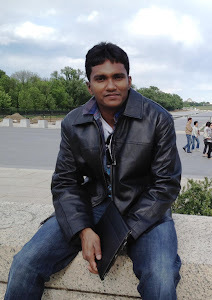 I am Krishanth Krishnan, and in September 2012 I started my PhD studies under the supervision of Prof. T. Kirubarajan in the Electrical & Computer Engineering (ECE) department, McMaster University. I was born in Sri Lanka and studied at the University of Moratuwa where I received my B.Sc (Eng) in Electronic & Telecommunication Engineering in 2009. Before moving to Canada to pursue graduate studies, I worked as a Software Engineer in .Net framework. I started my master's degree in the ECE department in in September 2010 and defended my thesis successfully in June 2012. Since September 2010, I am working as both research assistant and teaching assistant in the ECE department. As a research assistant I am working in collaboration with other members of the Estimation Tracking and Fusion (ETF) lab to develop target tracking simulation software (TESTBED) using C/C++ and Matlab. My research interests are in estimation, target tracking, sensor fusion, autonomous driving technologies, prediction and smoothing. My Master's thesis title was "Prediction, tracking and retrodiction for path-constrained targets". In relation with my research, my teaching interests are in electrical and electronics, linear algebra and control systems. As a teaching assistant I am responsible for leading tutorials, labs, invigilating exams and marking assignments and exams. I have a variety of extracurricular activities. I regularly play badminton and occasionally take part in tournaments. During the summer, I play softball cricket for a Scarborough Cricket club. Further, I am associated with following clubs: IEEE Hamilton, IESL, UMTAAC, Mac Ambassador.